Leading Japanese industrial drone startup, Autonomous Control Systems Laboratory (ACSL) raises 2.1 billion Japanese Yen financing from Mirai Creation Fund, iGlobe Partners, Mizuho Capital, Drone Fund and UTEC. “Mirai Creation Investment Limited Partnership”(hereafter referred to as “Mirai Creation”) operated by SPARX Group Co., Ltd. (Headquarters: Minato-ku, Tokyo, President CEO: Shuhei Abe hereafter referred to as “SPARX”), “iGlobe Platinum Fund II”, managed by iGlobe Partners, “Mizuho Growth Fund No.2 Limited Partnership” managed by Mizuho Capital Co., Ltd. (hereafter referred to as “Mizuho Capital”), “Chiba Drone Investment Limited Partnership” (hereafter referred to as “Drone fund”), managed by known investor Kotaro Chiba and The University of Tokyo Edge Capital (hereafter referred to as “UTEC”) announced today to invest into Autonomous Control Systems Laboratory Ltd. (Headquarters: Chiba-shi, Chiba, President CEO: Kenzo Nonami, hereafter referred to as “ACSL”) through a third-party allotment of shares. Mirai Creation is the lead investor in this 2.1 billion Japanese Yen fundraising round with investment participations from iGlobe Partners, Mizuho Capital, Drone Fund, and UTEC. ACSL was established in 2013 by Kenzo Nonami, former professor at Chiba University. It has grown to be a leading technology and manufacturing company of Unmanned Aerial Vehicles (or “drones”) for use in industrial and commercial sectors. ACSL’s drones are targeted at enterprises and government partners. Such products and service offering clearly differentiates ACSL from the highly competitive and saturated consumer drone industry. As a Chiba University based startup, ACSL owns core technology assets in flight control, mechanical development and manufacturing. Building upon this core technology, ACSL in late 2016 released product lineup of 4 models on its latest platform, “PF1”, with a renewed flight control software and hardware. In the beginning of 2017, ACSL added “PF1-Vision” to the lineup, which enables autonomous control even in GPS-denied environment by introducing latest edge computing machine vision, SLAM technology. ACSL also initiated a business model to provide a one-stop Proof-of-Concept (“PoC”) solution¹ to companies who have concepts to deploy drones in their work environment to revolutionize their workflow through increased automation, enhanced monitoring and surveillance. This business model has allowed ACSL to gain a large customer base, mainly in major players across various industries. Corporate governance and risk management system have also been established to ensure supply of safe, high quality aircrafts through an effective and efficient supply chain, managed in a lean operation. With its advanced technology, strong governance and the 720 million Japanese Yen Series A fundraising in 2016 led by Rakuten and UTEC, ACSL has strengthened its business and revenue stream at a great pace. During this fiscal year, ACSL will see growth in its revenue with increased utilization of its drones in the industrial inspections and logistics sectors. To drive this sustained fast-paced growth, ACSL has strengthened its management team by inviting a Representative Director (COO), and 3 other executive officers for CxO roles. In April 2017, former Boeing engineer and PhD/assistant professor at Tokyo University joined as the CTO directing technology development. Today, ACSL has over 40 customers in Japan, many of which are currently in the PoC phase. Moving forward, ACSL will work with each of these customers to realize the benefits of drone deployment through pilot operations, leading towards full live implementation, and an increase of sell-through of ACSL’s drones. 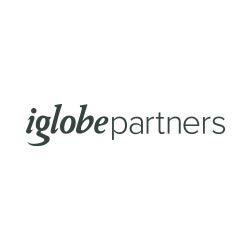 iGlobe Partners will support ACSL’s expansion into Southeast Asia. ACSL will continue to develop new solutions of drones equipped with GPS-denied autonomous flight capability for use indoors, underneath or near tall structures, and hard-to-access environments. Opportunities abound especially in domestic infrastructure inspection sectors where work automation is an accelerating trend and where the inspection areas may be highly risky to access. The current round of fundraising is targeted to strengthen ACSL’s business platform mid-term. This will enable ACSL to grow and compete globally as well as to accelerate its technology advancement. Key areas of technology advancement are expected in area of edge computing, machine vision, AI, and autonomous control algorithms. The leading drivers for such advancements are increased requirements in safety and reliability, and integration of new IoT technologies. Both are becoming more crucial in deploying flights beyond-visual-line-of-sight, and over third-party properties. ACSL is confident it will realize strong mid-term growth with today’s fundraising. ¹ New service to verify drone usage effectiveness for enterprises which have concepts to deploy drones in their work environment, through providing the latest vehicle and the superior flyer by ACSL without the burden for enterprises of purchasing drone and flyer training. Through verification, to evaluate drone usage effectiveness and to crystalize its business model, ACSL conduct simple development. With PoC approach, customer can identify issues in deploying drones and evaluate its effectiveness before full installation. Disclaimer. The format of this page has been adjusted from the original press release for display purpose.